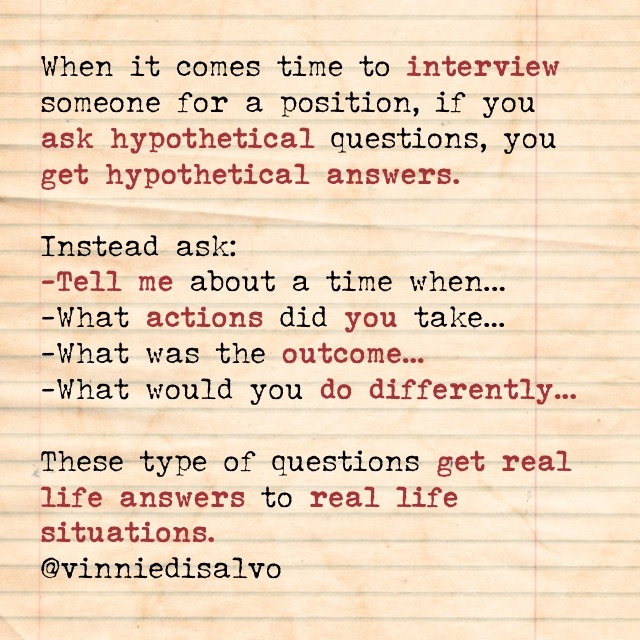 When interviewing. Hypothetical Questions get Hypothetical Answers. Get Real Life answer with Real Life questions. Hypothetical Questions get Hypothetical Answers. This entry was posted in Leadership, Personal/Professional Development, Talent Management and tagged Interview, Questions on February 5, 2015 by Vinnie.